Starting today, you can get double GTA$ and RP in Grand Theft Auto Online to celebrate America’s Independence. The double money and RP will be available until July 6th 2015, and you can also get 25% off everything sold by merchants across Los Santos including the original Independence Day inventory, vehicles, ammo, and more. Rockstar has announced that Heists are coming to Grand Theft Auto Online in March, adding a new four-player cooperative gameplay experience to the game. The new mode will let players pull off intense, multi-part raids and and robberies across Los Santos and Blaine County. GTA V’s Mysterious Casino: A Missed Opportunity? 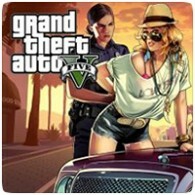 In July 2014 gaming websites were flooded with news of a glitch, created through a software update, which enabled players to enter GTA V’s mysterious casino. This closed-off building has been a source of intrigue for fans since GTA V’s release, with the casino’s blacked-out windows and suggestive ‘opening soon’ sign leaving players desperate to know what will lie behind the doors. Rockstar have published a video showing a comparison between the PS3 and PS4 versions of Grand Theft Auto V. The PS4 has many graphical enhancements, including greater draw distance, more details in the characters and pedestrians, and better reflections. And, the PS4 version runs at 1080p resolution at 30FPS. A new patch for GTA V is now available to download, updating the game to v1.15. The patch, better known as the Independence Day Special, brings a slew of new content to help you celebrate July 4th, including a brand new Liberator monster truck, the Sovereign motorcycle and new properties and fireworks. 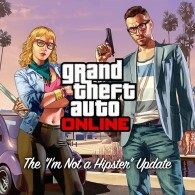 The “I’m Not a Hipster” update for Grand Theft Auto Online is now live, adding new features to the game, including retro print tees, skinny jeans, hairstyles, tattoos, animal masks and more. The update also adds seven new vehicles, weapons and Jobs. Grand Theft Auto Online has received a new update, adding new vehicles, weapons, outfits and more. The Business Update lets you rise through the ranks of your Los Santos and Blaine County business ventures, with 14 new jobs added to the game, and new land and air races. Grand Theft Auto Online has been a massive success for Rockstar and Take-Two Interactive, as the latest financial reports reveal that the game made up almost half of the Take-Two’s digital revenue for the last fiscal quarter, which ended on December 31st 2014. The GTA Online maintenance period that took place yesterday by Rockstar was to address cheaters in the game, it has been revealed. The maintenance period was used to remove counterfeit GTA$ from the game’s economy, which was created by a small number of players through an exploit. Those responsible for using the exploit will face tough action, according to Rockstar. 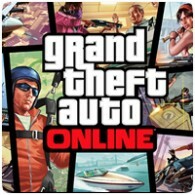 Rockstar has revealed that GTA Online will be online from early this morning for an unspecified amount of time. The maintenance period starts at 2 AM GMT (9 PM Eastern Tine) and will finish at some point on Thursday, but an exact time wasn’t revealed. The nature of the maintenance period wasn’t disclosed, but could relate to new features or improved reliability.